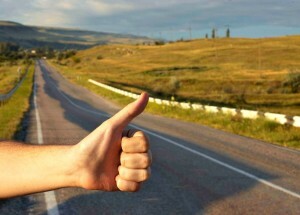 Hitchhiking is nothing more than tagging along with someone who is going the same way as you. In American culture, it’s where bored inter-state truck drivers accommodate people walking along the road (known as the hitchhiker) to ride the long drive with them. This arrangement actually has benefits for both parties; the truck driver gets company (someone to keep them awake during the long boring drive) while the hitchhiker gets a free ride to the next stop. Spiritual hitchhiking works in a similar manner. It’s the same as the world’s concept of ‘tagging along’ with the truckers, only this time, we tag along with another’s spiritual blessings. 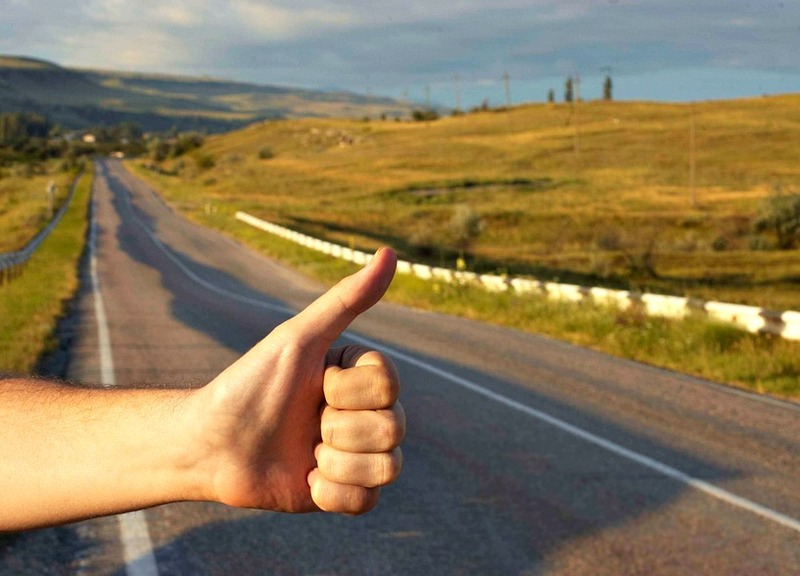 Spiritual hitchhiking can take the form of STANDING IN AGREEMENT with our fellow brothers and sisters or it can take the form of CLAIMING prayers and spoken prophecies. Jesus is telling us that the prayer of two people standing in agreement is a lot more powerful than the prayer of one person. So for spiritual hitchhiking, the Trucker benefits from a more anointed prayer, the spiritual hitchhiker gets a powerful free ride to the blessings, and the Lord Who loves blessing everyone is magnified and glorified as His word is confirmed. Very simple eh? Yes, everything becomes too simple when Christ is in your life. So next time you come across Truck Drivers blessing, praying and prophesying in the Internet, like say in sites like Face Book or in anointed sites like GraceHope.com, don’t just sit there and read. CLAIM your blessings in Jesus’ name (click ‘like’, ‘pray’, or just say ‘amen’ in your heart!) and start your very own habit of Online Spiritual Hitchhiking and see all the benefits that The Lord has been planning for you. All the blessings have been paid for by Jesus’ blood. The benefits are all for you to gain! 2. I also recommend our dear Melanie Cole’s Facebook page. Looking forward to taking life’s long ride with you and our Lord Jesus Christ!